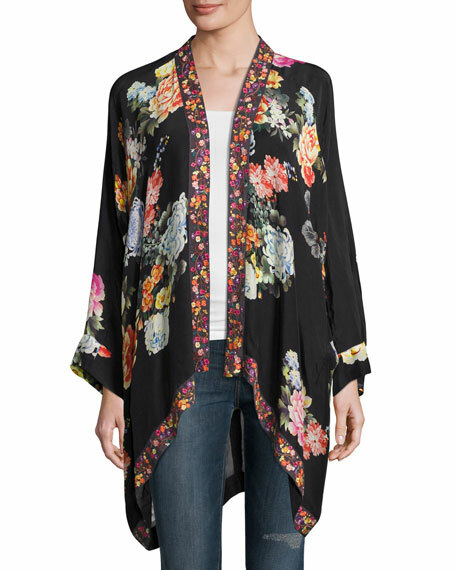 Johnny Was Collection "Jazzy" kimono jacket in floral-print georgette. Approx. 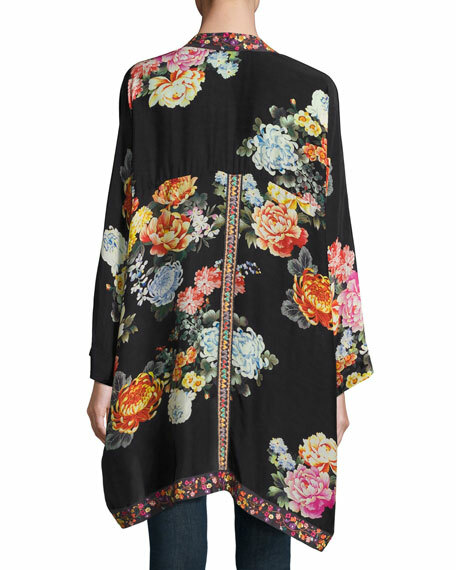 Measurements: Jacket Length 31", Bust 48", Shoulder to Center 17 1/2", Sleeve 18" (Size Petite Medium). For in-store inquiries, use sku #2083037.